Located on Rua Ewerton Visco, Caminho das Árvores, close to shopping and business centers. 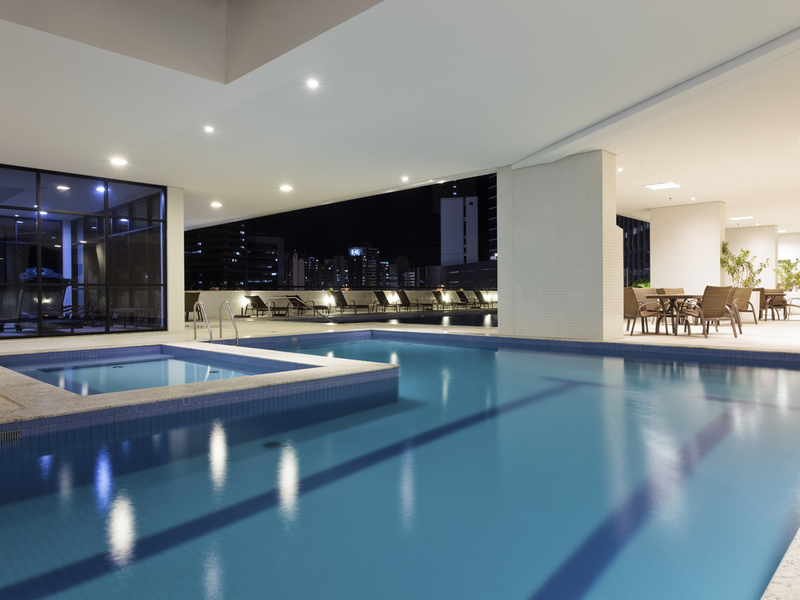 11.2 miles (18 km) from Deputado Luis Eduardo Magalhães Airport and 1.9 miles (300 m) from Salvador shopping center, where guests can enjoy leisure activities such as the cinema and a diverse food court. The hotel is located in the business district, close to shopping centers, and has easy access to the airport and beaches. Located on Caminho das Árvores, close to shopping and business centers. 11.2 miles from Deputado Luis Eduardo Magalhães Airport & 1.9 miles from Salvador shopping center, where guests can enjoy leisure activities such as the cinema & a diverse food court. Standard Room with 1 double bed. Apartment measuring around 355-378 sq. ft. (33-35 sq. m) with a balcony. Desk, air conditioning, 32" LCD TV, WIFI, minibar, hairdryer, shaving mirror and sanitary spray. Accommodates up to 2 people. Superior Room with 1 double bed. Apartment measuring around 484-538 sq. ft. (45-50 sq. m) with a balcony. Desk, air conditioning, 32" LCD TV, WIFI, minibar, hairdryer, shaving mirror and sanitary spray. Accommodates up to 2 people. The Além do Cais Restaurant combines the sophistication of international recipes with tempting Bahian delicacies, providing its customers with an unforgettable gastronomical experience.